I’ll argue that the notion of viewpoint plays central stage in our understanding and interpretation of many utterances. I’ll claim that such a notion is best characterized on the background of indexical reference; yet it cannot be reduced to it. I’ll thus show how points of view can be unarticulated (roughly, unmentioned) and yet play an important role in our linguistic practice inasmuch as the understanding of some utterances rests on the grasping of the point of view associated with them. 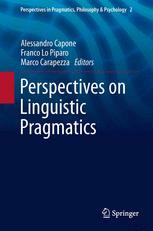 Finally, I’ll mention how the notion of viewpoint (as an unarticulated linguistic phenomenon) plays an essential role in the understanding and interpretation of utterances containing anaphoric reflexive pronouns.